Epson has been the leader in inkjet printing technology for over 40 years, building an enviable reputation for quality and reliability in the proofing and photographic markets. Now, that expertise has been harnessed to design and build our first true outdoor signage printers; the SureColor SC-S series. Vehicle wraps, signage, indoor décor – whatever your customers need, our SureColor SC-S Series printers have it covered. Delivering an unbeatable blend of speed and accuracy, Epson’s unique Thin Film Piezo (TFP) printhead technology has double the number of nozzles compared with the industry standard. The result is high native resolutions and outstanding dot precision delivering better productivity and superb print quality across a wide area of applications. Add to this the ability to produce white gradations and metallic colours to differentiate your offered services and stand above the competition. 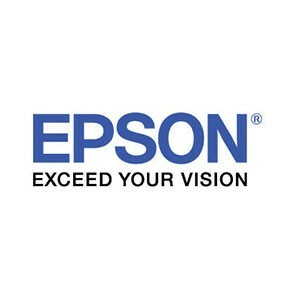 Epson is a global innovation leader dedicated to exceeding expectations with solutions for markets as diverse as the office, home, fine art, photography, commerce and industry. Epson’s line-up ranges from inkjet printers, printing systems and 3LCD projectors to industrial robots, smart glasses and sensing systems and is based on original compact, energy-saving, and high-precision technologies. Led by the Japan-based Seiko Epson Corporation, the Epson Group comprises more than 73,000 employees in 94 companies around the world, and is proud of its ongoing contributions to the global environment and the communities in which it operates. Visit www.epson.co.uk/signbyepson to find out more.